Open Concept Kitchen/Dining/Living Area .. Raised Ceiling & Plenty of Windows Giving a Spacious Feel & Great Views! Custom Kitchen Cabinets w/Granite Countertops and a Large Island for all types of Family Enjoyment! White Appliances Accenting the Cabinets & Oblong Tile throughout ... Outdoors, there are 3 lots ... 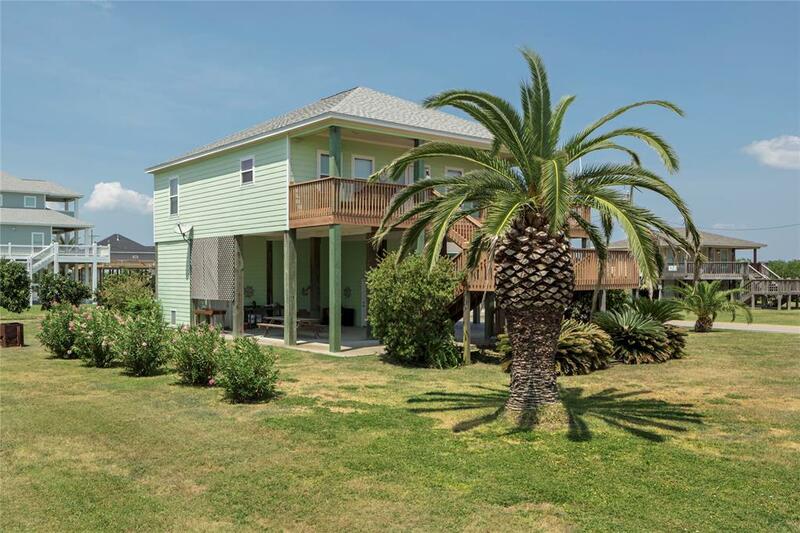 Outstanding Palms, Oleanders & Fruit Trees Enhance this Location .. 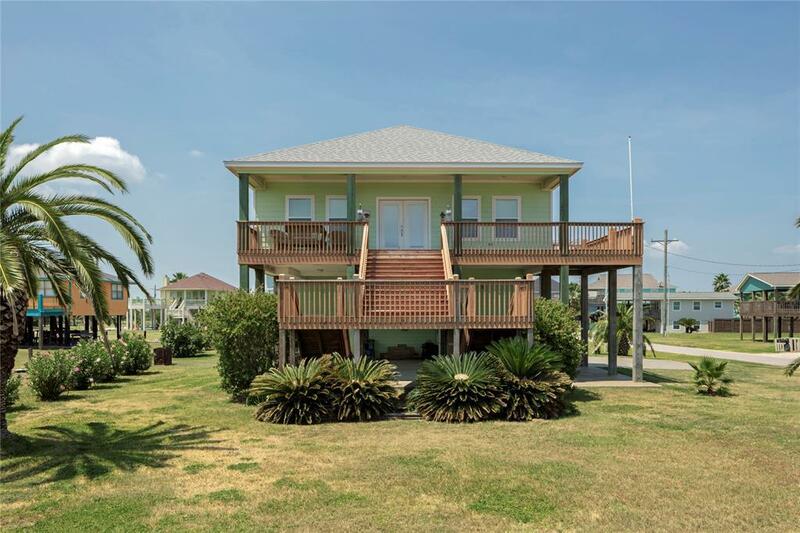 Walking Distance to the Beach! 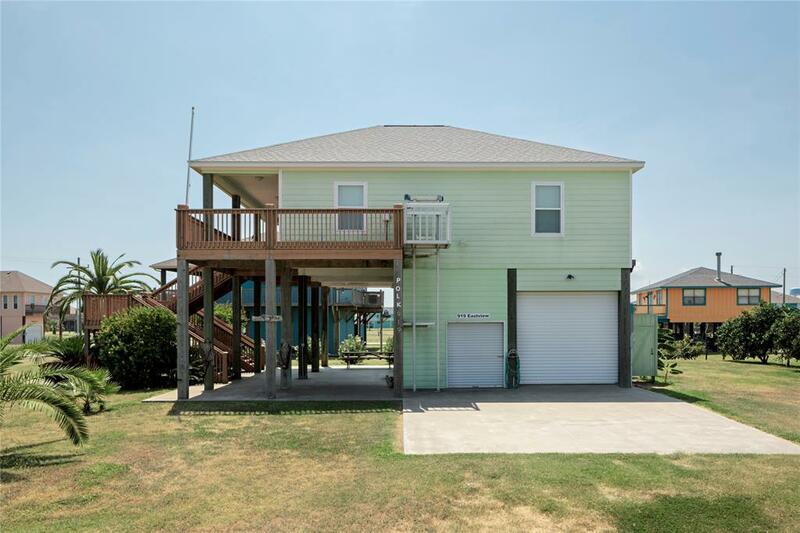 Double Stairway adding Curb Appeal & Access to the Partially Covered Deck with/Cargo Lift! Below the Deck is Designed for Outdoor Cooking & Sitting back enjoying the Gulf Breeze!! Golf Cart & Oversized Garage for a Boat/Trailer. 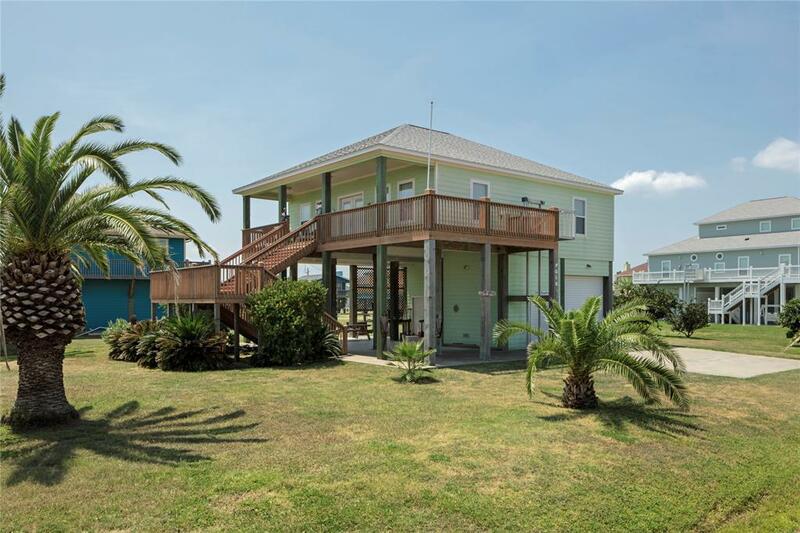 AND .. Close to All the Shopping/Eating/Entertainment Areas & Conveniences that make you Love Beach Life and Come to Bolivar Peninsula! !